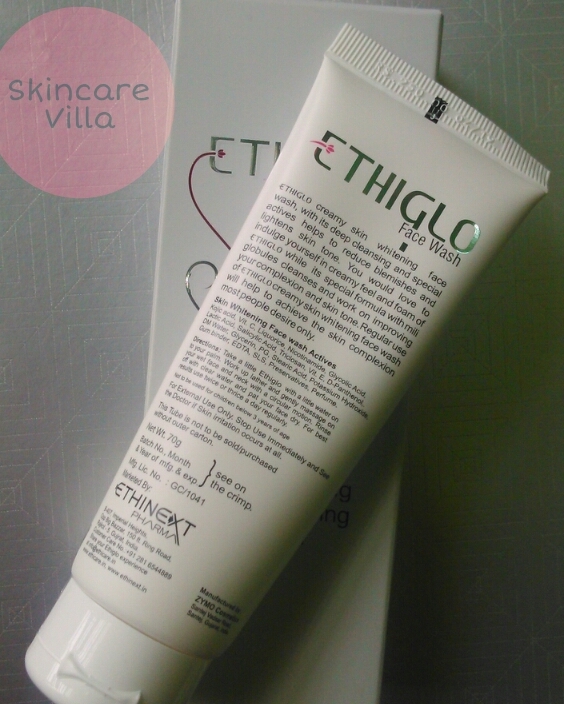 I have earlier reviewed a couple of Ethicare Remedies on the blog when the team sent me a summer kit for review. Today's review is a part of another kit which the brand sent me. 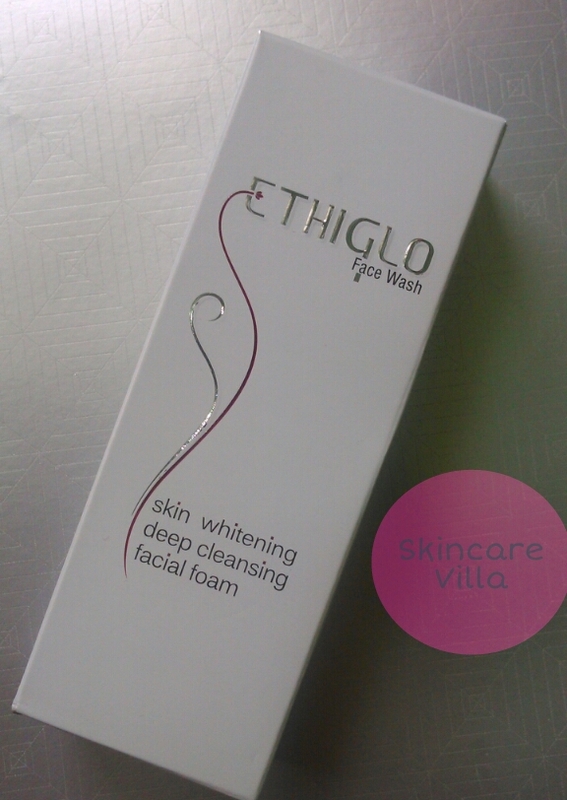 Let's see the review of Ethiglo Face Wash today. Kojic acid, Vitamin C, Liquorice, Nicotinamide, Glycolic Acid, Lactic Acid, Salicylic Acid, Triclosan, Vitamin E, D-Panthenaol, DM Water, Glycerin, PG, Stearic Acid, Potassium Hydroxide, Gum binder, EDTA, SLS, Preservatives, Perfume. My experience I loved the super white tube packaging with a silver wording of the name. The packaging size is small and quite travel friendly to fit a handbag. Now coming to the product consistency and colour, the consistency is frothy like a shaving cream and colour is similar with a shiny sheen of the facewash. The facewash is exactly like a shaving cream in appearance as well as consistency (excuse me for the comparison). The consistency is neither runny nor thick. The facewash contains very tiny pink granules. The density of the granules is moderate. 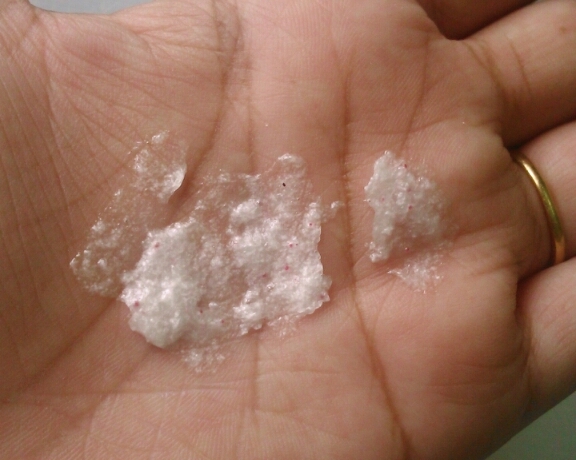 Now the business part, the facewash foams quite well and the quantity required is very less. The foam is frothy (like a shaving cream) and gets washed off easily. The facewash contains Liquorice and the effects are quite evident in just one use. The facewash makes the skin super clean without drying it. It gives a subtle glow and freshness to the skin which lasts for around 2-3 hours. The facewash does its job quite well and helps in curing the dark spots left by acne. I would also like to mention that it takes time to show effects on darker shades of acne scars. However I am yet to see any effects on the pigmentation I have below my lower lip. However I don't expect overnight effects especially by a facewash which we put on skin for just less than one minute. But according to the amount of time we put the facewash on the skin, it shows great effects with respect to that. I would prefer this facewash as a super cleansing agent with added benefit of fading the scars over a period of time. I would recommend the facewash if you are into a product which does a dual job. The facewash makes the face clean as well as helps in curing acne marks. Some may prefer facepacks for lightening the acne scars. But this facewash is a good option to treat acne scars without investing much time.